In the bartending industry, a part of responsible server training is being able to tell when a client is intoxicated, and therefore must no longer be served. In this post on how to cut someone off at the bar, we gave you advice on how to do this in a way which minimizes the potential for aggression or upset. But how do you spot the signs of intoxication in the first place? It may seems simple, but for young bartenders, or those just starting out, it can be difficult to know where to draw the line. If we take as a guideline, the fact that a person's body can usually only process one alcoholic unit per hour, then during quiet periods, it should be simple to notice when someone is attempting to process more than this amount. Of course, body mass affects this process, so a larger person will take longer to get drunk. 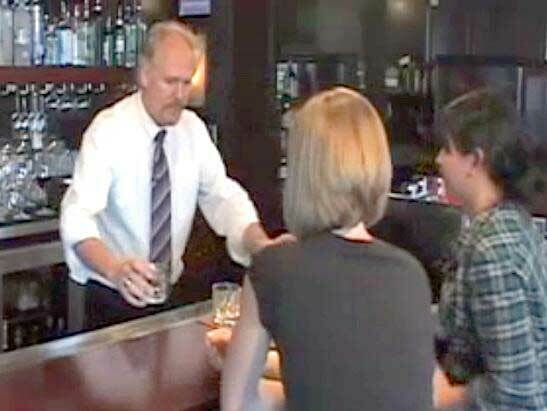 When it's busy, however, it might be harder to take notice of how often a person is approaching the bar, especially if people are buying in rounds. Luckily, intoxication presents itself in numerous ways. The most common symptoms of intoxication are slurring one's speech, swaying and bumping into things. In a crowded and noisy bar, however, these could be overlooked. Something else to take notice of would be a previously mild patron who becomes aggressive, a social person who becomes withdrawn or a quiet person who decides to buy the whole bar a drink. AACEA’s certified bartenders gain valuable experience like spotting inebriated customers at our mandatory alcohol server training classes. We provide online alcohol server training, while promoting responsible service and sales of alcohol. To get your alcohol servers permit online from home, visit www.aacea.com.